FB 82-84 with downhill plane. Showed long loose levers and clean arm action. 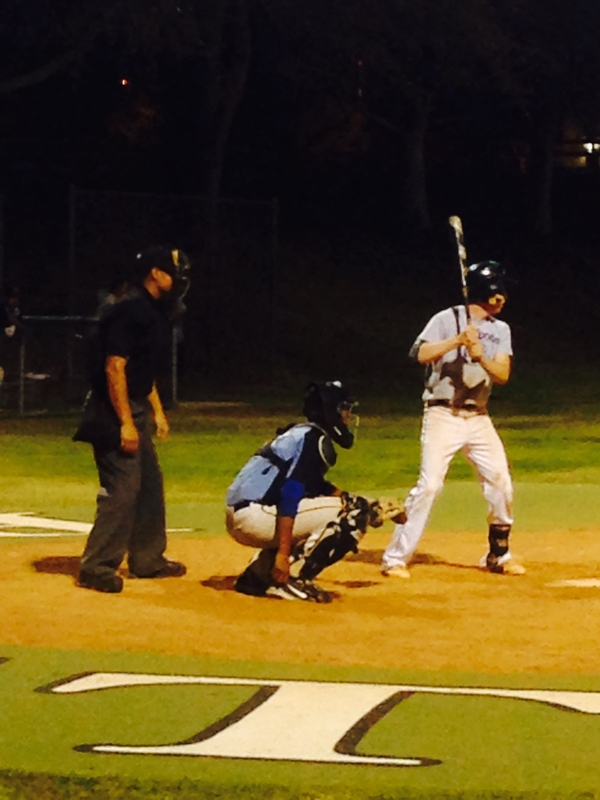 Competed in the strike zone to both sides of the plate. Curveball was 70-72 and was more of a slurvy break. Slightly x-body delivery. Room to add velo/ good upside. Pro body 6’2 195. Showed good actions and soft hands at 3B with good carry on his throws. Bat speed at the plate with some power potential. Strong arm catcher with an accuracy and good carry. 1.94-1.97 pop time. Showed a potential power bat. Drove a double in the gap and a hard hit single to left. LH athletic build with a smooth rhythmic approach. Keeps hands inside ball well and bat path stays on plane. Uses all fields, runs well. Short quick arm with over top delivery. Aggressive to plate with quiet front side. Good use of lower and complete rotation after release. FB 84-86 with good late sink. CB 73-76 with 11-5 medium break. Projectable frame. Smooth actions at the plate. Power to the pull side. Good aggressive at bats. Multiple hard hits. Big strong body with Very smooth actions in the inf with loose arm speed and good carry. Light on feet and agile for size. Projects at the third base position. Shows ability to back spin the ball with power potential. Aggressive at plate. Lean athletic frame. At the plate on time rhythm with easy separation. Good balance and quiet head. Direct bat path with spray contact. Works counts and works inside baseball. Lean frame with room to fill. Smooth and easy delivery, pitched to contact with ability to repeat. FB Sat 83-85 with late sink, CB 74-76 with medium 11-4 break, change 73-75 with good fb arm speed and good sink. 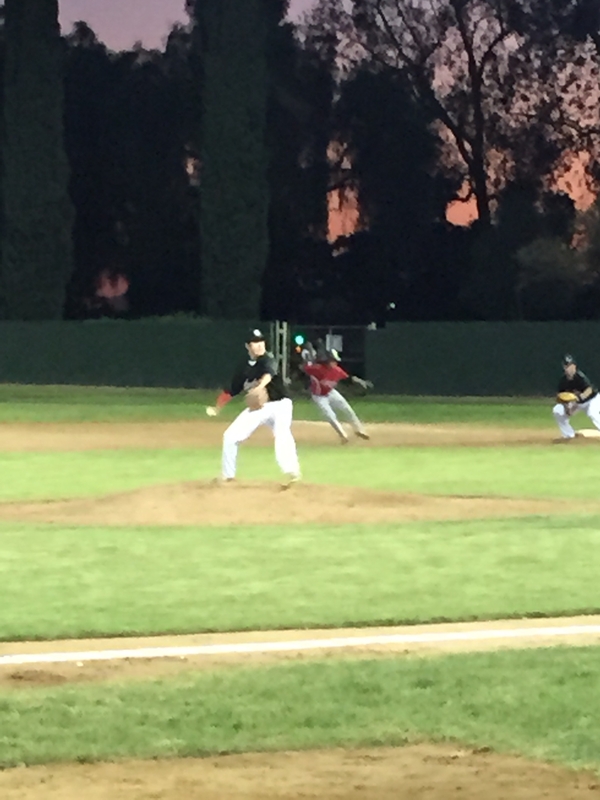 Did a nice job of pitching to contact and pitching to both sides of plate. Good feel for pitching and works quick. Tall wiry frame – good footwork defensively, quick release, with good angles to ball. 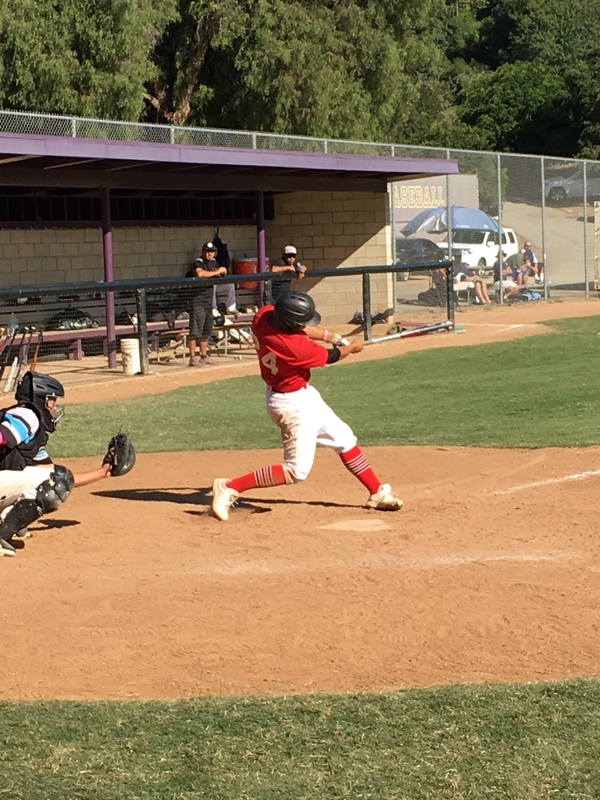 At the plate – smooth easy separation – works inside ball and flat path through, opposite field line drive approach with some loft to the gap. Athletic, strong build, rotational technique with middle oppo approach, attacks the fastball with quiet actions, short to contact, slightly uphill, above ave bat speed with some oppo pop, strong to contact. Athletic wiry frame with good foot speed, reads the ball well of the bat,always in the right position when fielding the ball. Quick out of the box with very good gap power to pull side. Strong raw power from a solid frame. Simple stance and set up. Ball jumps as he creates back spin with gap approach. Strong build with a quiet quick swing. Hit ability and has a knack for finding the barrel. Strong at contact with a short path and good bat speed. Uses all fields well with gap approach. Quality for speed with feel around the bases. Smooth left handed swing with a solid approach, short to contact and good bat speed. Flashed an above average arm and good range in the OF. 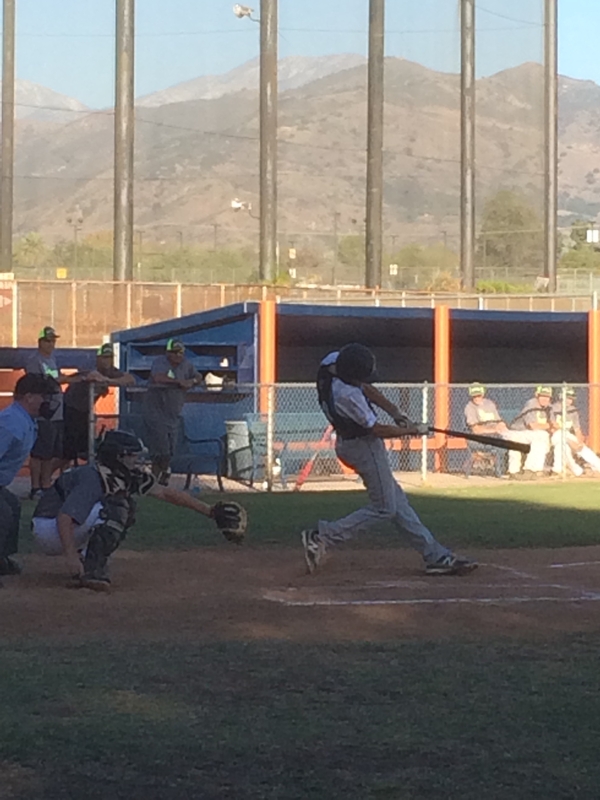 Tall wiry frame, good approach at the plate. Stays inside the ball. 3-4 with a double and two singles up the middle. Showed good range in CF and made a full extension diving play in the left center gap. At the plate showed a short quick stroke with good bat speed. Great poise at the plate. Very fast hands. Aggressive early in the zone on fastballs. Short to contact. Uses all fields well. FB 88-91 with arm side run, 78 breaking ball with late 11-5 action. Easy out of handd with effortless arm stroke. In line and simple. Great presence and poise. Stays inside the ball with simple approach and easy rhythm. On plane with good bat speed and plus extension. Balanced gap to gap approach. Works well behind plate, throws had good carry. Moves well and centers ball. Soft receiving and firm sticks. Natural leader. FB 85-86. Drop and drive style with good lower half and arm speed. Poised delivery. Works outer part of plate. 12/6 shape on breaking ball with late sharp with depth and tilt. Tall, lanky player with a consistent strong arm. Good receiver, quiet glove. Good swing line drive gap hitter. Strong base. Great timing. Creates good separation and gets great extension through contact. Big power potential. Good athletic build, very smooth quiet and rhythmic load, uses lower half well to generate pop, bat path on plane and stays inside baseball. LH hitter, good lower half, smooth and rhythmic with gap to gap line drive swing. Tall wiry frame with room to fill. Fastball 85-87 touches 88, good command of change and curveball as well. Ball has late action and change has good dive. Athletic infielder with soft hands and a strong throwing arm. 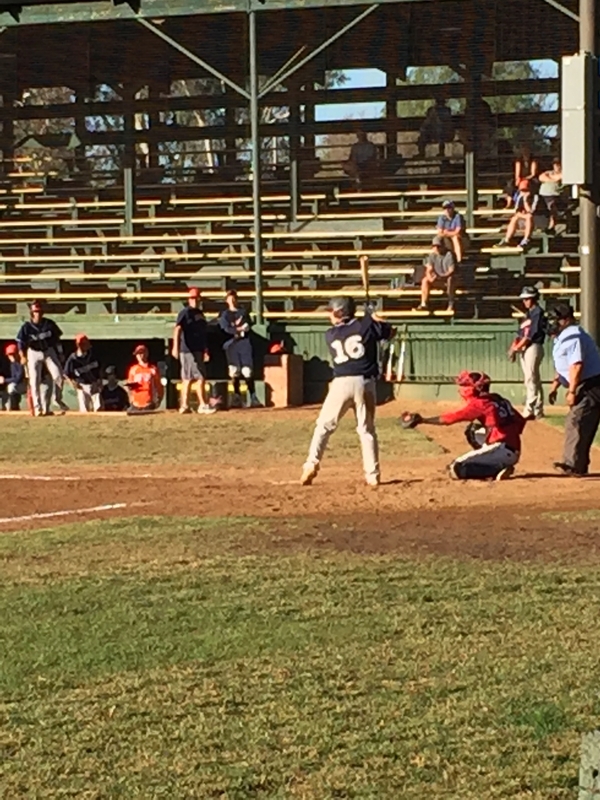 Aggressive approach at the plate and uses his lower half well. Hands are in a good position at launch and bat path has a slight uphill path to produce some pullside power. Very big upside. 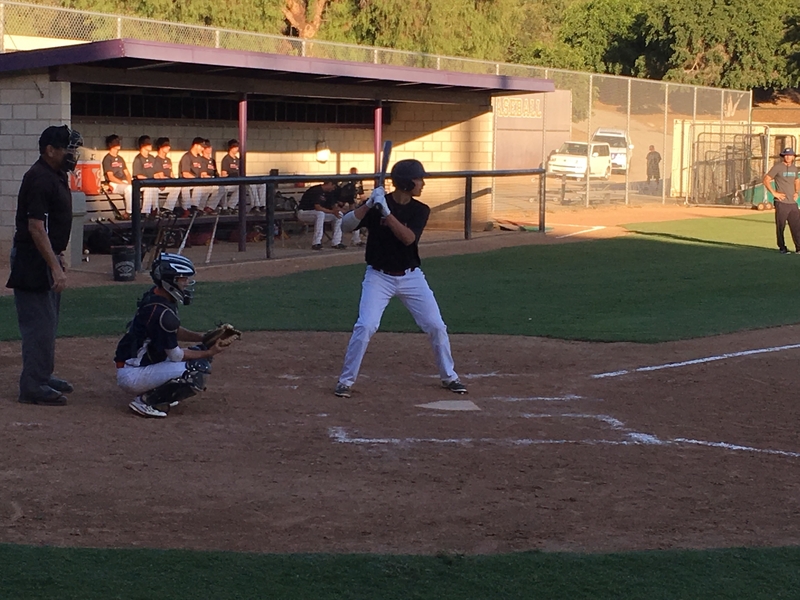 Good athletic frame, smooth approach at plate, bat path is on plane. Uses good lower half load to generate pop to all fields. Long lanky frame. Smooth easy delivery, stays compact and good direction through target. Long and loose arm from a 3/4 delivery. Hides ball very well and ball jumps out of hand. Fb Sat 84-86 with late life and touched 87 once. Slider very sharp break with 10-4 action. Good feel on mound with good presence. Wiry build, short compact stroke with good barrel accuracy. Stays connected and has a direct path to ball. Has some loft in swing with some gap power as he hit a home run to left. Quick arm and athletic delivery. Short and quick arm action with fastball up to 89 easily. More of a thrower now but has potential to be a low 90’s arm with some polish. Flashed a slider 73-76 with a sweeping break away from righties. Tall strong frame – high 3/4 delivery with good deception. Smooth easy and effortless delivery. Good balance throughout and very good composure. Arm is loose and good whip. Fb Sat 86-88 with late run. Slider 76-78 with late break and good deception. Tall athletic frame. Activated load, good balance with good extension and long levers. Flashed pull side pop. Tall physical frame. 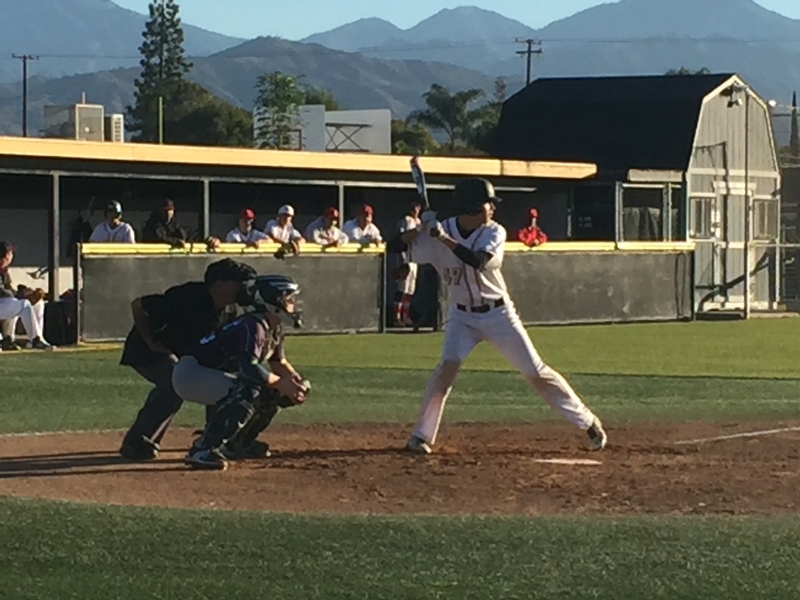 At the plate is physical with aggressive barrel and good hand path. Pull side to middle pop with a nice flat path and good extension good connection of back elbow handles ball middle in well. Tall strong physical build. Aggressive approach with long levers and bat whip through zone pull side gap power with good extension and loft. Athletic player with good actions and a high motor. Above average arm and showed range in CF. At the plate showed bat speed and an ability to barrel the ball consistently. Caused havoc with his legs on the bases. Big Body RHP with a variety of pitches and arm angles. Over the top he ran the fastball up to 87 and showed a change up and slider. From a low 3/4 slot he pitched 81-83 with sink. Threw lots of strikes and mixed pitches well. Strong athletic frame – activated load with good balance. Bat whips through zone with good leverage at the plate. Strong lower half with good extension. FB 88-90 with slight cut. Easy life with clean on time actions. Plus lower half and arm speed from a loose lanky frame. Plus glove side action and in line direction. Controls both halves and has a sharp put away breaking ball with 11/5 shape that is late and has depth. Short direct swing with spray approach and plus plate coverage and good balance. Stays in at bats and is a pest with two strikes. Solid strong frame with a strong swing and power potential. Quiet easy rhythm with mid approach. Smooth lefty swing. Quick to ball and plus extension thru contact. Plus lower half usage. Good feel around bag with solid hands and quality reads. Confident hands and approach on the field. Natural lift with good plate coverage. Left center field approach. Ball jumps and can create backspin. Good bat speed with simple set up and rhythm. Good feel behind the plate. Polished. Beats ball to the spot to block and receiving. Subtle sure actions and is athletic in and out of stance. Covers ground. Clean exchanges with quick transfers and feet. Balanced hitting approach with middle/ pull emphasis. Good lower half rotation. Strong. Balanced mid-oppo approach. Loose swing with good extension. Stays inside the ball with a quiet approach and handles the bat very well. Situational hitter and knows the game. Lanky frame. Light on feet with plus range and good first step jumps at SS. Quick exchanges and hands. Picks out hops with quick twitch ability. Simple line drive approach. Spray hitter that stays inside / on plane and uses hands well. Plus range and good feel at SS. Quick release with good carry across diamond. Gets to the spot early and collects well. Quality plus actions. FB 82-84 from OT arm with downhill plane. Breaking ball has late sharp break. Easy effortless arm stroke. Easy delivery. Controlled in line delivery. Good glove side action and lower half push. Strong swing with good bat speed. Good use of lower half and good direction accompanied would hand speed. Ball jumps off bat with a very aggressive middle approach. Home run in game. FB: 81-84mph with good arm speed in all pitches. In line with upper and half and lower with a good backside push. Good finish as he attacks early. Breaking ball with 12/6 shape with sharp depth and plays as out away pitch. FB: 80-83mph. Sinker ball style. Plus arm side run. Keeps the ball down and let’s it work. Slider at 71 with tilt. Attacks early and shows good pitch ability. Strong athletic tall body. Projectable. Strong at contact with rotational technique and whole field approach. Good rhythm and quiet timing. Utilizes lower half well. Good reads on the OF work closing speed and good carry. Direct routs and good actions. Athletic lean frame. Defensive actions very sound and smooth, soft hands with good funnel. Works low to high and good angles. At the plate very simple approach with good balance, free and easy load with on time separation. Direct path to baseball and is a line drive type line to line. 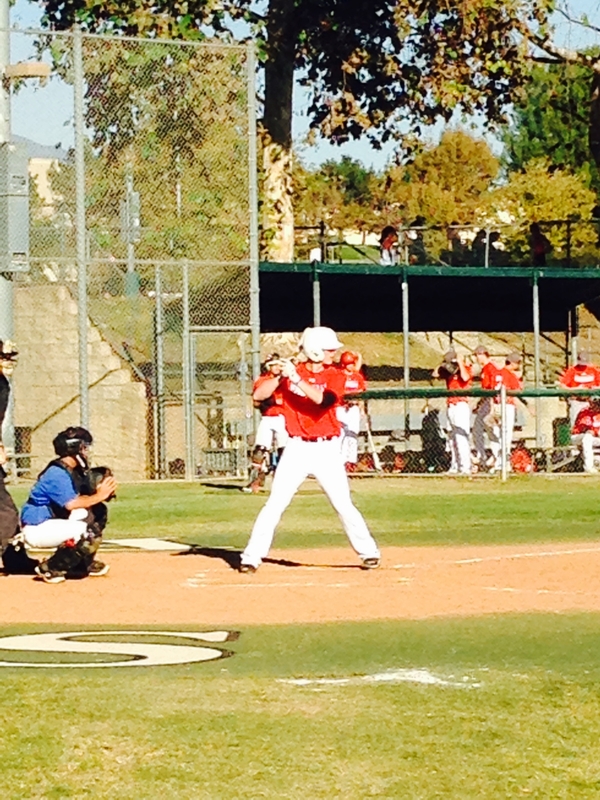 Tall strong frame, aggressive hitter with good extension. Gap to gap power with good bat speed. Solid base with good balance throughout and good feel for barrel. Tall strong frame, aggressive hitter with loose levers. Stays inside with good lower half connection. On time rhythm with middle to opposite field power. Wiry athletic frame. Quick first step with ability to cover ground in center. Flashes strong accurate arm with fluid rhythm through target. 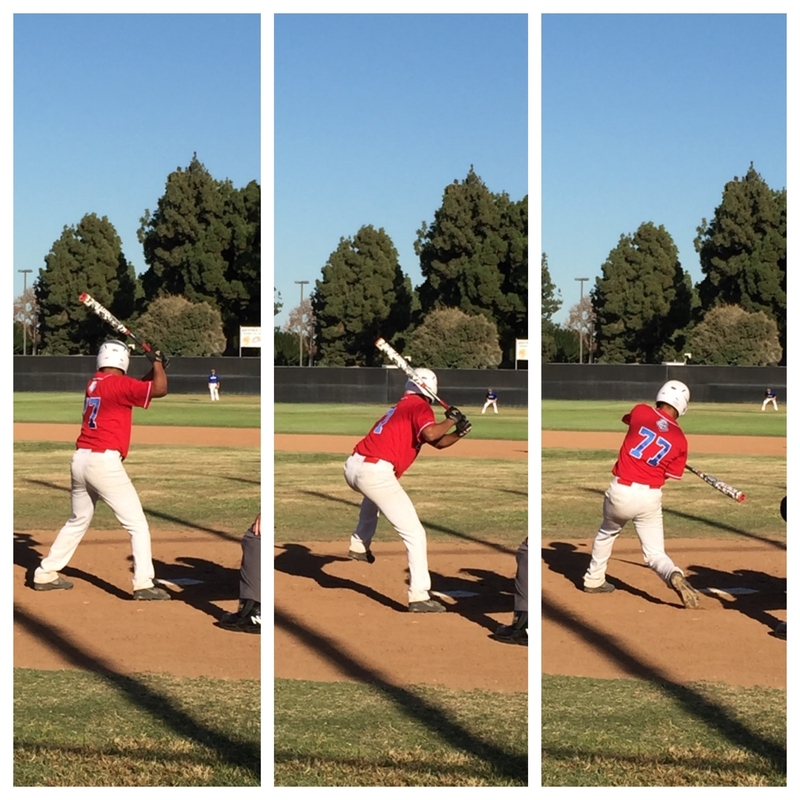 At the plate short stroke that’s stays through middle. Line drive type hitter . Small athletic frame. Short on plane stroke with contact to all fields. Quiet rhythm with no wasted movements. Defensively quick twitched with smooth actions. Plays above ability tools with glove. Has solid reads and works through with ok rhythm. Knack for making plays. Plus across across diamond with good arm speed and arty. Good rhythm which flows through the ball and pics out hops with solid, quick reads. Showed plus range to glove side and utilized multiple arm angles. 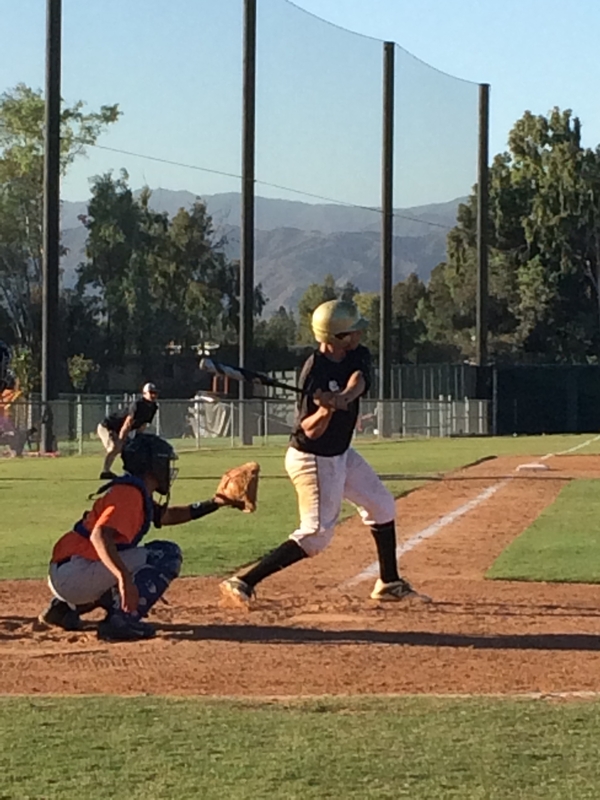 At the plate showed good leg kick rhythm with a flat path and quick bat speed. Line drive guy with the ability to back spin the baseball. Strong build RHP with a deceptive leg lift and funky delivery. Hides the ball well. Throws from a high 3/4 arm slot and creates some downhill with his fastball. Pitched 82-84 and reached back for 85-86. Showed a tight overhand breaking ball with good depth/ swing and miss potential. Lean athletic frame, quick twitched in outfield and covers ground. Strong accurate arm with two put outs from center. At the plate quiet load with good whip through zone and good feel for barrel. 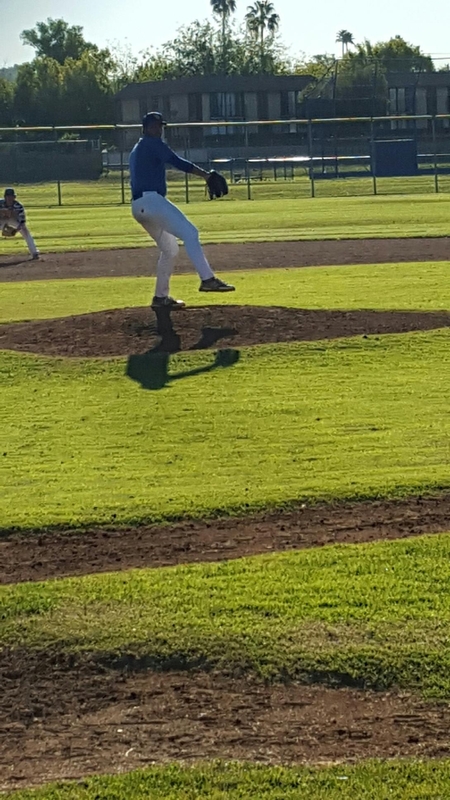 11/1: Tall and wiry RHP with a deceptive delivery and hi 3/4 arm slot 83-85 strike thrower with room for more velocity. Had feel for a 70-72 mph Breaking ball. Competed well and had a good feel for pitching. Smooth actions at the plate. Gets good extension through contact. Uses all fields well. Comfortable against lefties. Handles them well. Gap2Gap pop. +game awareness. Athletic at SS. Thin frame with room to fill. Short quick stroke that provides contact to all fields. Flat path with good extension. Simple swing with quiet rhythm. Short quick stroke with some whip through zone. Good barrel awareness and good balance through swing. Stays inside ball and works counts. Good balance with opposite field gap pop. Good base with simple load. Tall athletic frame with room to fill out. Good lower half trigger, bat path on plane through zone with gap to gap pop. Leg kick rhythm with a flat path that stays on plane. Quick to contact with above average bat speed. Line drive mid approach. Strong frame with some pull side and approach. Aggressive early in count. Ball can jump from a good stance set up and rhythm. Lean athletic frame with loose arm. Hides ball well from a high 3/4 delivery. Throws slight across body which causes cut on fastball. Arm is whippy with upside. Fb sat 84-86 with late life. 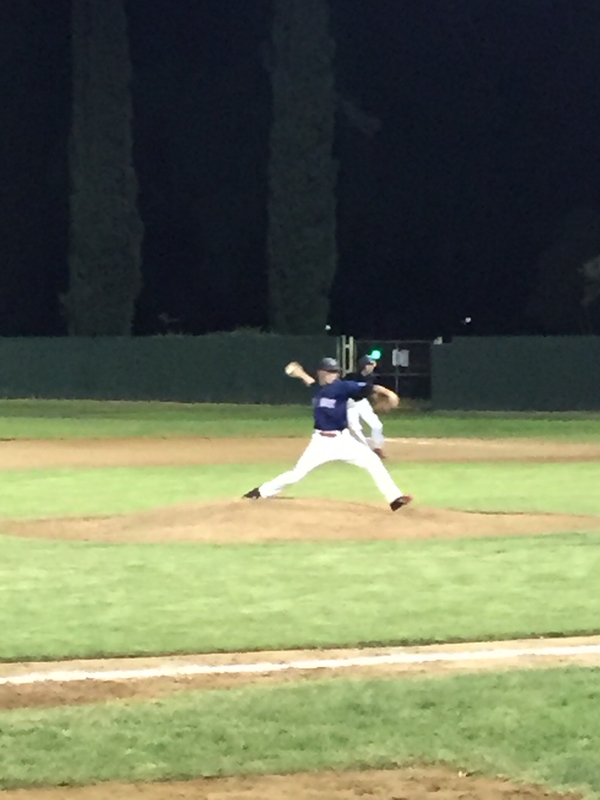 Slider had sharp tilt with 11-3 action and good depth. 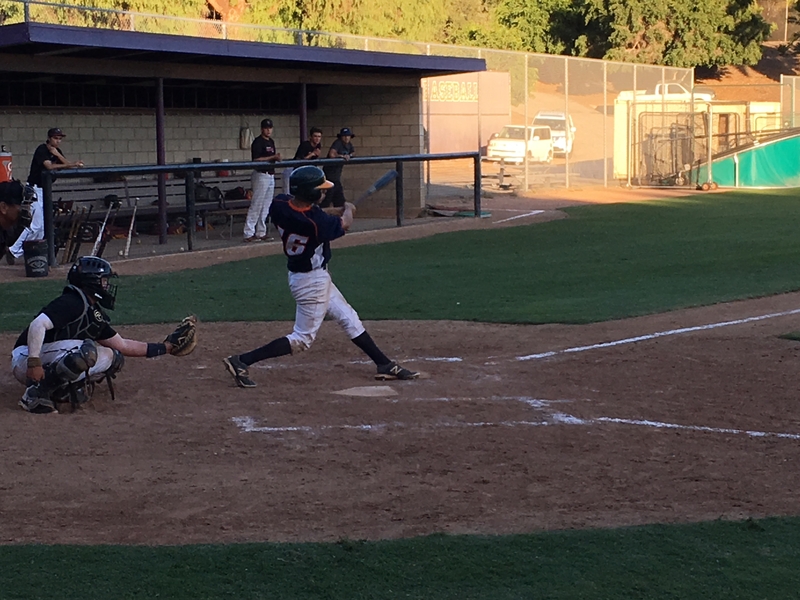 Strong young frame – good leverage with good extension. Flat path and good connection of back elbow. Power fade approach with good lower half rotation. Small wiry frame, short direct path with quick hands and spray type hitter with good connection through contact and stays palm up palm down through extension. Young frame with potential to fill and get stronger. Lean athletic frame, tall in stance rhythm with good separation. Quiet head with good balance, pull side power with home run in game. Good feel at SS for age, athletic build with room to fill, smooth actions with good rhythm and above ave carry, light on feet and good first step. Plus range at SS and very good feel for position. Solid reads with good foot speed. Collects well with good poise. Multiple arm angles with carry across. Wiry athletic frame. Quick first step that covers ground to both gaps. Light on feet with closing speed. 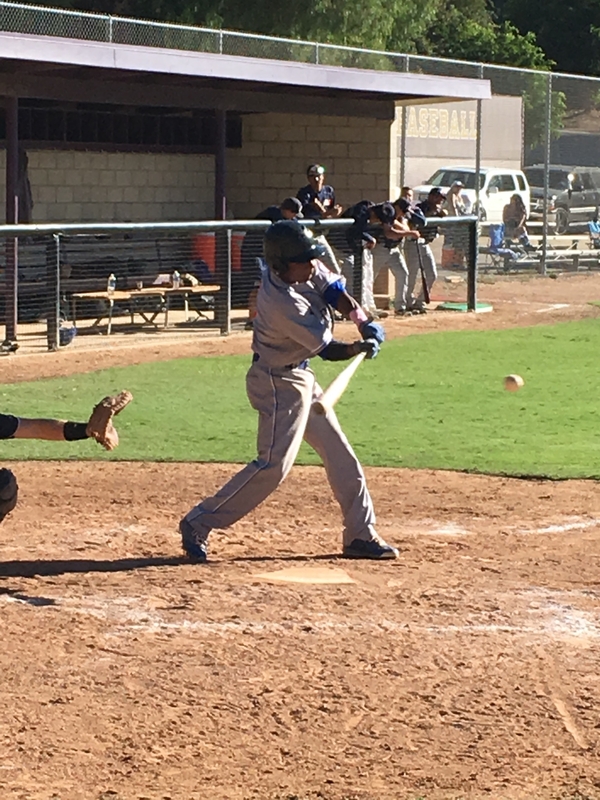 At the plate lets ball travel and works to stay inside baseball. Works counts and good balance. Aggressive hitter with direct flat path through baseball. Line drive type with gap pop. Good instincts on base paths with good angles on turns. Small framed RHP with a quick arm and electric stuff, FB 84-87. Short/ Clean arm stroke, good drive out of the lower half and plus extension. Flashed some feel for the change up. 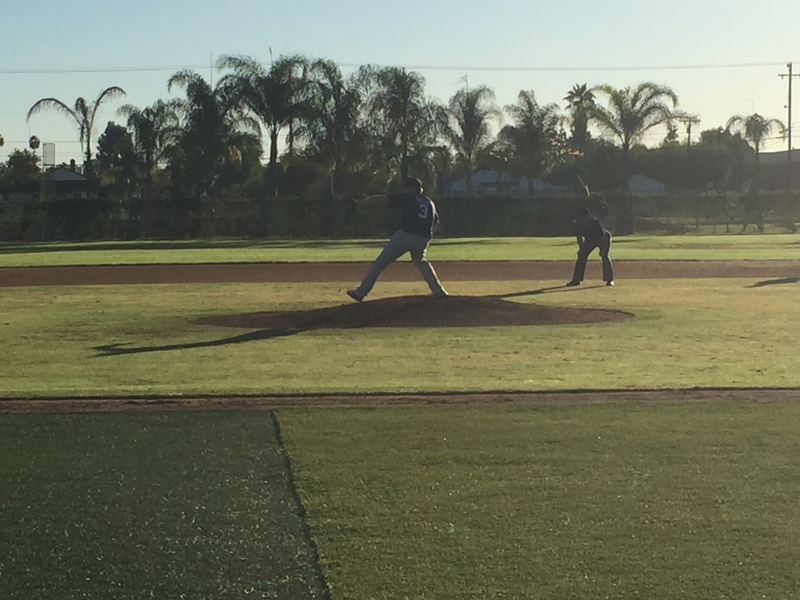 RHP with good downhill plane on his 80-82 fastball and a sharp BB. Pounded the strike zone and showed a consistent athletic delivery. Downhill 82-83 fastball with slight cut. Pounded the strike zone with good tempo. Flashed swing and miss 12/6 BB. Good direction with lower half and plus extension. 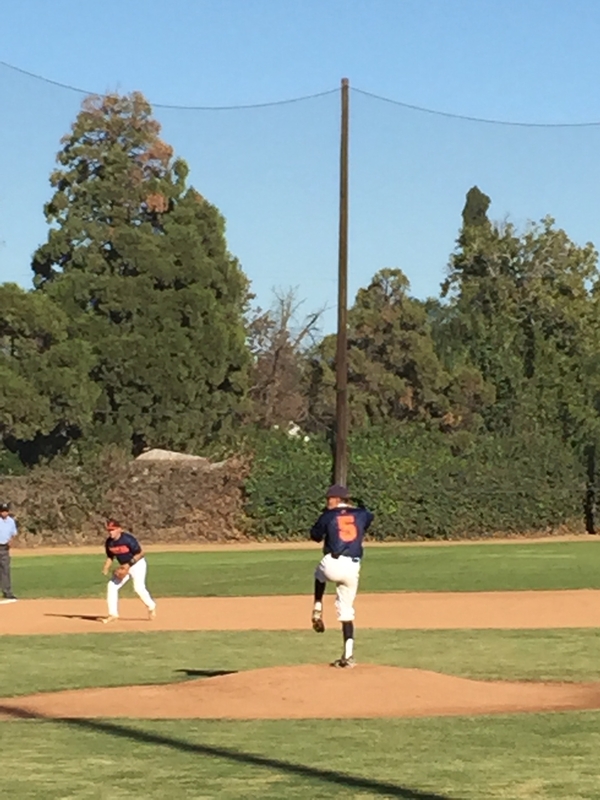 This entry was posted in 2015 Under Armour So Cal Classic UPPERCLASS, 2015 Under Armour Tournaments and tagged Aaron Orozco, AJ Podhurcak, Alex Benavides, Alex Gomez, Alex Lopez, Alex Moore, Alex Sardina, Alfred Delsangro, Alvaro Castro, Andre Henson, Andre Isaraq, Andres Garcia, Andrew Bayard, Andrew Navigato, Andrew WIlson, Andy Diaz, Anthony Acosta, Anthony Villegas, Barry Livermore, Ben Becker, Blake Mann, Blake Porter, Branden Boissiere, Brandon Davis, Brandon Lara Mack, Brandon Lewis, Brandyn Cruz, Braxton Dothard, Brennan Morales, Cam Dutcher, Casey Dykstra, Casey Horvat, Chase Cortez, Chase Ottofy, Christian Lopez, Cole Palacios, Cole Sowyrda, Connor Clift, Connor Martin, Connor Tousignant, Daniel Gomez, Daniel Pimienta, Daniel Rios, Daniel Ritcheson, Darrius Garcia, David Bohorquez, David Magallanes, Dawson Gilbert, Dempsey Salazar, Dominic Campeau, Dominic Martinez, Dominick Morace, Douglas Horn, Dylan Alhanati, Eddie Kutt, Edward Manzo, Eli Zaragoza, Emanuel Viramontes, Ethan Sachs, Francisco Villasenor, Frank Garcia, Frank Rogozienski, Frankie Fitzgerald, Frankie Sessa, Garrett Apker, Garrett Giles, Grady Conner, Grant Ford, Guillermo Vazquez, Hayden Rosenkrantz, Hector David Coco, Hunter Cooper, Ian Grylls, J.T Balano, Jacob Guzman, Jacob Jablonski, Jacob Jackson, Jacob Loren, Jacob Luevano, Jacob Rogers, Jacob Shanks, Jacob Urrutia, Jake Lopez, Jake Turner, Jakob Donato, James Latimer, James Rutledge, Jaren Washington, Jayson Schroeder, Jeffrey Brunytjens, Jerald Gaskin, Jeremy Ciolek, Jesse Burke, Jesse Morales, Jesse Zarazua, Jimmy Lemberger, Jimmy Pecaro, Joey Olvera, Johnathon Lavelle, Johnathon Vargas, Jonah Newman, Jonathan Duran, Jorge Perez, Joseph Gutierrez, Josh Hammond, Joshua Hamronay, Julian Rodriguez, Justin Holt, Justin Taylor, Kenny Johnson, Kevin Pindel, Kevin West, Kyle Horton, Kyle Pruhsmeier, Marc Salcido, Marcos Hernandez, Matt Garcia, Matt Johnston, Matthew Knight, Michael Arsenault, Michael Pineiro, Michael Santana, Miguel Macias, Miguel Martinez, Nathan Cisneros, Nathan Webb, Nick Kahle, Nick Landa, Nick Olson, Nick Piefer, Noah Cardenas, Noah McBride, Omar Martinez, Omar Veloz, Otniel Hernandez, Payton Ballard, Peyton Koopman, Randy Jewell, Raul Rodriguez, Ray Kimura, Reece Berger, Revin Diego, Ricky Martin, Ricky Torres, Robert Zamora, Ryan Penalber, Ryan Wilson, Samuel Camacho, Saxon Andross, Sean Roby, Sebastian Murillo, Sebastian Orduno, Spencer Williams, Spenser Triplett, Surya Kumaraguru, Tony Bullard, Tony Rosario, Trace Eldridge, Travis Malloy, Trevor Mattson, Troy Frazier, Tyler Ashford, Tyler Domene, Tyler Hardman, Tyler Mills, Tyler Pritchard, Tyler Spiegel, Will Picketts, Yuji Sakane, Zach Sherwood, Zachary Gillisie on November 1, 2015 by Andy Ferguson.